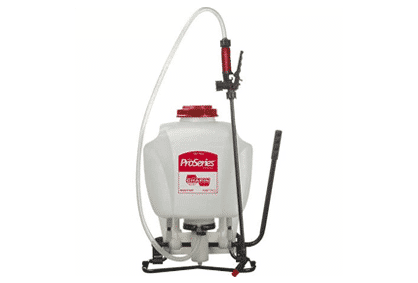 • Backpack Professional 4 gallon poly sprayer with carrying straps. 4 position spray valve for control of pressure from 15-60 PSI. Right or left pump handle, adjustable nozzle and reinforced hose. • Spread any seed or granular material over hilly or wet terrain. Nylon bag with 20lb capacity. Gives a 8-15' spread width. Rocking agitator gives consistent flow to the impellor. Great for grass seed, fertilizer, Food Plot Seed mixes. 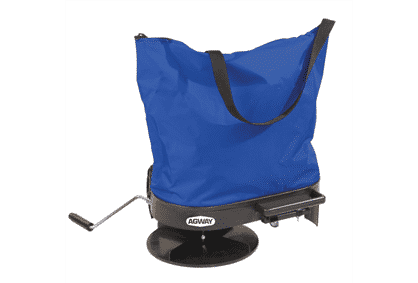 Easy to use, folds up for easy transport and storage. 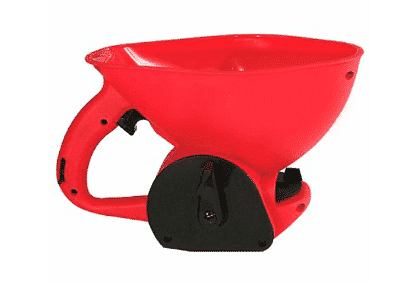 • The 3400 is an ergonomic hand spreader for use with seed, fertilizer, ice meters, and any granular material. Designed for smaller hands with an integrated scoop design, the 3400 can scoop material out of bags or cans so you don't need to touch the material you are spreading. With 110 cubic inch capacity, the 3400 makes quick work of spot spreading, or applying ice melt to sidewalks.